It's not only the diamantaires Nirav Modi and Mehul Choksi who conspired and cheated the Punjab National Bank (PNB) of Rs 13,600 crore loan amount. Mumbai's leading hawala operator Mohammad Farooq was also not far behind, a charge sheet filed by the Enforcement Directorate has revealed. In 2015-16, the mastermind, Mohammad Farooq created 13 companies to indulge in large-scale illegal foreign exchange remittances under fraudulent imports of goods and diverted Rs 2252.82 crore to China and Hong Kong. 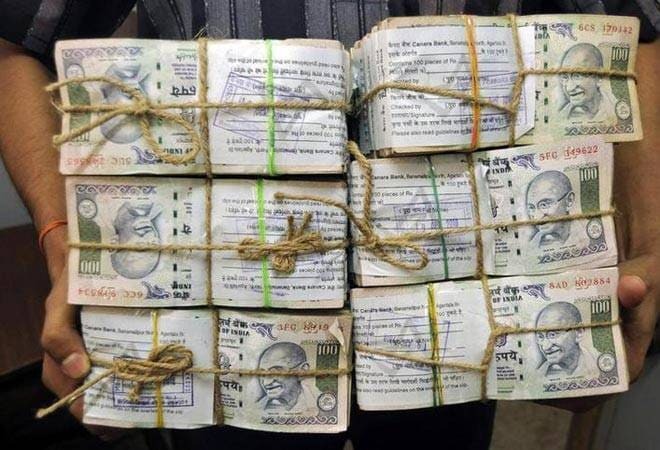 Total six banks were targeted - Axis Bank, Canara Bank, Central Bank of India, Corporation Bank, State Bank of Hyderabad and Punjab National Bank - with the maximum exposure of Rs 1400 crore. Last week, the Enforcement Directorate (ED) filed a prosecution complaint under Section 45 Proviso II of PMLA, 2002 against Mohammed Farooq, his elder brother Mohammed Gous, Murarilal Jhunjhunwala, Anup Jhunjhunwala, Stelkon Infratel and Anek Trading Pvt Ltd., in the Rs 2,252-crore fake import remittances scam. The accused company Stelkon Infratel Pvt Ltd (SIPL) maintained its account (account number: 3735005500340207) with PNB, where amounts were transferred in numerous tranches. Once a substantial amount was accumulated, the same was immediately remitted overseas by submitting bogus import document. The companies that PNB has exposure in are Stelkon Infratel, Kundan Trading, Anek Trading, Pawan Enterprises, Padalite Traders, Fine Touch Impex, Iconic Enterprises, Azure Enterprises and Seabird Enterprises, all managed by Farooq. Similar modus operandi was adopted in other bank accounts for placement, layering and then outward remittance to overseas accounts. As per the charge sheet, all these banks did not exercise any due diligence in verifying the genuineness of the importers, ignoring RBI's circulars regarding the obligation of the authorised dealers (banks in this case) while remitting foreign exchange outside India. Hence, the accused firms entered into criminal conspiracy with unknown bank officials and illegally transferred huge funds out of India. The investigation has revealed that the 13 companies, namely Stelkon Infratel Pvt. Ltd.(SIPL), Apolla Enterprises, Kundan Trading, Disney International, Anek Trading Pvt. Ltd., Lubeez Enterprises, Pawan Enterprises, Lemon Trading Company, Padilite Traders, Fine Touch Impex, Azure Enterprises, Seabird Enterprises and Iconic Enterprises, were created by Mohammed Farooq for remitting money out of India. Out of these 13 entities, 11 were proprietary concerns and two are shown as private limited companies. It was found that people of small means or financial capacity, including priests, rickshaw drivers, peons, security guards, workers from a lollipop factory and mobile phone dealers, were lured to part with their personal details like PAN, Aadhaar card, electricity bill, ration cards etc. On the basis of their KYC details and other documents, Import Export Code (IEC) was obtained from the Director General of Foreign Trade (DGFT) under the Ministry of Commerce. These details were utilised for opening current accounts in banks. These dummy directors and proprietors were paid Rs 1000 to 2000 for signing the account opening form, and similar amounts whenever called to attend to the banking requirements. Mohammed Gous, elder brother of Mohammed Farooq and the second accused in the ED charge sheet, was responsible for arranging these persons for opening the accounts in various banks. He looked after all the paperwork, depositing of cash and making RTGS transactions to and from various shell companies controlled by Mohammed Farooq. The analysis of KYC details of the 13 companies revealed that common PAN, address, mobile number and e-mail have been used for opening accounts of different companies. For instance, Apolla Enterprises, Kundan Trading, Disney International and Padilite Traders having different proprietors, but were still had the same address. Likewise, the two private limited companies, viz Stelkon Infratel Pvt Ltd & Anek Trading Pvt Ltd, had different directors, but having common office premises. All 13 entities declared their business profile as the import of goods from China, including cutlery, clothes, bags, purses etc. After opening the bank accounts, these accounts received huge cash deposits and also credit in numerous tranches through RTGS or cheque deposits from various sources from the market. Also, while all the aforementioned 13 companies had declared their business as import and trading of goods from China, none of these entities had paid any VAT on sale of goods or filed Income Tax returns regarding their income. The transactions to these accounts were not backed by any genuine business transaction like sale or purchase. In order to give an impression of genuineness, inter-se transactions were carried out between multiple accounts of these companies in multiple banks. Some of these accounts were then utilised for remitting money to the overseas companies by submitting fake/bogus bills of entries. Thus in the guise of import of goods, huge remittances were made to 47 overseas companies in China, Hong Kong and UAE. For example, in the bank accounts of these shell companies maintained with Punjab National Bank, it is seen that the said accounts were getting credited from their group shell companies on a single day and within a day or two, a huge amount was remitted out of India. It was also observed that the bank accounts were operated for a short duration of six to eight months. Once a huge remittance to overseas accounts was completed, a deliberate effort was made to either close the accounts or make them dormant by stopping all transactions. "Thus, it is apparent that the said bank accounts were opened only with a view to remit amount out of India. The money routed through these accounts itself was highly suspicious and evidently tainted. The source of money is under investigation", the charge sheet stated. "Thus, in the guise of import, Rs 2252.82 crore was remitted, whereas the actual value of the total import consignments was only Rs 24.64 crores", the charge sheet added. The main accused Mohammad Farooq was handling a total of 149 bank accounts linked with his three mobile numbers. He also managed to acquire multiple PANs using different combinations of his name, for instance, Farooq Hanif Mohammed, Mohammed Farooq and Farooq Shaikh. These were then used to open bank accounts and purchasing immovable properties with mala fide intention. The charge sheet said that Mohammad Farooq Shaikh has committed the offence of money laundering as defined under Section 3 of PMLA, 2002, by generating the proceeds of crime, committing scheduled offences, to the tune of Rs 2,252.80 crore followed by layering, using the bank accounts of his other shell companies and integrating the same either abroad or in India. Hence, he is liable for punishment as defined under Section 4 of PMLA, 2002. Mohammad Farooq was arrested by Bureau of Immigration at Mumbai International Airport, in pursuance to Lookout Circular, while leaving for Bangkok. He is presently under judicial custody.